Mr. B.P. Rao is a practicing Chartered Accountant. He is the founder and Senior Partner in M/s. B.P. Rao & Co., Chartered Accountants having offices in Bangalore, Chennai and Mysore. Mr. Rao was a Director and Chairman of the Audit Committee in State Bank of Mysore, Bangalore from 1997 to 2003. Mr. B.P. 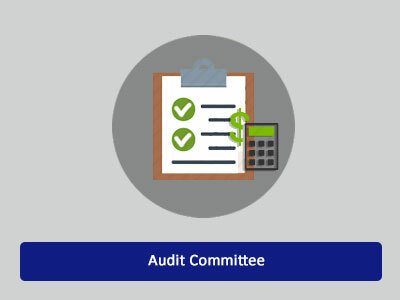 Rao represented the International Federation of Accountants, USA. Held important positions such as the Vice President and President of The Institute of Chartered Accountants of India. Served as Chairman and also represented various Committees of the of BgSE Financials Limited. He is a member of panel of Arbitrators in NSE and BSE. Mr. Sankarshan Basu graduated with M.Sc. in Statistics from IIT, Kanpur and obtained his Ph.D. in Statistics from London School of Economics. His interests in research include financial markets, market risk management and quantitative problems in insurance among other things. His teaching interest revolves around financial derivatives, risk management, investments, financial data analysis, etc. 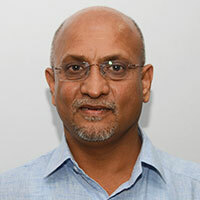 Mr. Sankarshan Basu has worked with various companies in India and has been a visiting professor to countries like Netherlands, Sweden, France and Vietnam. Currently, he is associated with IIM, Bangalore. He has also co-authored two books in the area of finance. Mr. Sanjay Sakaria graduated in Electronics Engineering from Bangalore University. Has been a member of Bangalore Stock Exchange Limited. 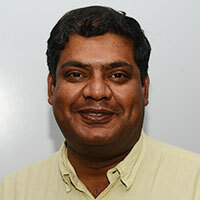 He is an active sub-broker of BgSE Financials Limited and has an experience of over a decade in the capital market. 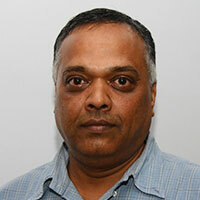 Mr. Sanjay Sakaria is a director on the Board of Essess Road Safety Solutions Pvt. Ltd.
Mr. Kumar Vinod P. Nadagouda is an engineer by qualification and an entrepreneur dealing in organic and chemical agro products. He is also an investor in stocks and securities for the last 25 years and a Director of a housing cooperative society in Bagalkot. Mr. Kumar has fondness for charitable activities and contributes funds annually to two schools based in Bangalore and an orphanage in Bagalkot. Mr. Uday Shankar R M is an Advocate, with over 27 years of experience, having exposure in Mergers and acquisitions, Arbitration, Private Equity and Venture Capital funding, Foreign Exchange Regulations, Corporate laws, IPR laws and Litigation. He holds a Degree in Commerce (B.Com) with a Masters in Business Administration (Finance), Bachelor in Law (LL.B) and is a Fellow Company Secretary (FCS). Mr. Manjit Singh did M.Sc (Physics) and MBA(Finance) from Panjab University and qualified CISA Examination conducted by ISACA,USA. Served a Public Sector Bank in Middle Management and Senior Positions for over 22 years. Switched to the Capital Market in March, 1996. 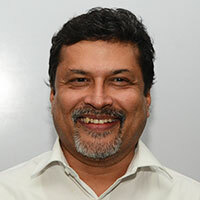 Served as Executive Director, Ludhiana Stock Exchange Limited (1996-2003); Chief Executive Officer, BgSE Financials Limited (2003-2005); Head of Risk & Operations(Senior Vice President), IL&FS Investsmart (2005-2009) and Group Head (Compliance), KARVY Group (2009-2011). 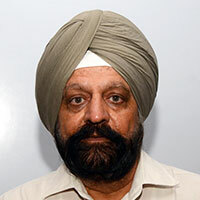 Mr. Manjit Singh won CICC International Computerization Thesis Contest (1988) instituted by the Government of Japan and Lord Aldington Banking Research Fellowship (1993) instituted by the Indian Institute of Bankers. 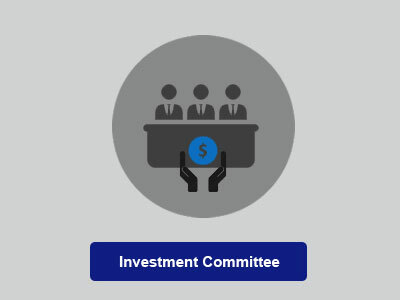 Has been a member on the SEBI constituted Committees namely a) Inter Stock-Exchange Surveillance Group constituted (1996-2003) b) Risk Management Group (1999 to 2003) and c) Central Listing Authority constituted in 2003. Ms. V. Jhansi Laxmi is a commerce graduate with a financial background and have done her Articles from M/s. Brahmayya & Co., Bangalore. She has twelve years industry experience in the field of Floriculture and Exports. Has 30 years of experience in Stock Portfolio Management. 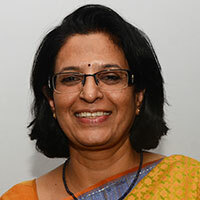 Ms. V. Jhansi Laxmi is the Managing Director of M/s. Blooms and Greens (P) Ltd. and is the Vice President of South India Floriculture Association. Mr. K Ishwara Bhat is a Chartered Accountant and a Company Secretary by qualification. Worked with The Mysore Kirloskar Limited as Chief Financial Officer. Has been a Member of Bangalore Stock Exchange since 1987 and is a sub-broker of BgSE Financials Limited operating under the trade name “Ishwar & Co”. 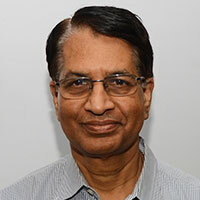 Mr. K Ishwara Bhat served the Bangalore Stock Exchange as its Vice President during 1995-96, President during 1996-97 and as a Director from 1994 to 2000. SEBI passed "Exit Order" on December 26, 2014 granting approval to voluntary surrender of recognition and "exit" of the erstwhile Bangalore Stock Exchange Limited. Clause 11 (d) of the "Exit" order passed by SEBI directed the Company to change its name and not to use the expression "Stock Exchange" or any variant of this expression in its name and to avoid any representation of present or past affiliation with the stock exchange, in all media. Pursuant to the Special Resolution passed by the shareholders on April 27, 2015 by way of Postal Ballot, application was made to Registrar of Companies (ROC), Bangalore for change in name of the Company from Bangalore Stock Exchange Limited to "BgSE Properties and Securities Limited". ROC, Bangalore approved the change of name and updated MCA site with the new name of the Company on May 14, 2015. New Certificate of Incorporation issued by ROC, Bangalore pursuant to change in name of the Company has been displayed on the website of the Company. Pursuant to the special resolution passed by the share-holders in the EGM held on September 21, 2013; the erstwhile Bangalore Stock Exchange Limited submitted a formal application for “Voluntary surrender of recognition” and “Exit” as a stock exchange to SEBI on October 8, 2013, which was approved by SEBI by passing an “EXIT” order in respect of the erstwhile Bangalore Stock Exchange Limited on December 26, 2014. To acquire by purchase, taking on lease or otherwise lands and buildings and all other property movable and immovable which the Company may, from time to time, think proper to acquire. 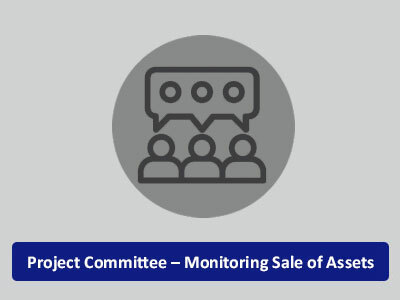 To sell, improve, manage, develop, jointly develop, exchange, lease or let, under-lease, or sublet, mortgage, dispose of, turn to account, or otherwise deal with all or any part of the property of the Company. To construct upon any premises acquired or any building or buildings for the purpose of the Company and to alter, to add to or remove any building upon such premises. 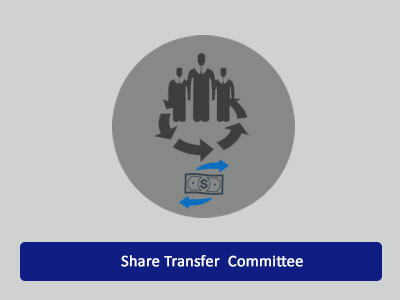 To borrow or raise any moneys required for the purposes of the Company upon such terms and in such manner and on such securities as may be determined and in particular by the issue of debentures charged upon all or any of the properties of the Company including its uncalled capital. To provide services like maintenance of the premises, house keeping, security services, office maintenance and other related services to the tenants / occupants of the property taken on lease or owned by the Company. As on December 26, 2014, there were 255 companies listed on the Stock Exchange. Out of which 225 were listed on BgSE and other Stock Exchange(s). There were 30 exclusively listed companies which did not get listed on other Stock Exchanges and were moved to Dissemination Board of BSE Limited in terms of clause 3 of SEBI circular dated May 30, 2012. The erstwhile Bangalore Stock Exchange Limited Exchange had 255 members serving the diverse needs of investors. Out of which 122 were Corporate Members and the remaining 133 were Individual members. In terms of Clause 3 of SEBI Circular No.MRD/DoP/SE/Cir-36/2008 dated December 29, 2008; upon de-recognition of the Bangalore Stock Exchange Ltd., SEBI registration certificates as Trading Members of the Exchange stood cancelled. However, SEBI registration certificates of the Trading Members as sub-brokers of BgSE Financials Limited on NSE and / or BSE shall continue to be valid. All the investors of sub brokers shall continue to trade through BgSE Financials Limited and avail DP services without any interruption. Mr. B.P. Rao is a practicing Chartered Accountant. 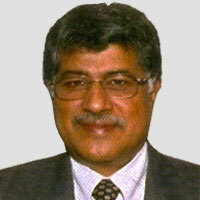 He is the founder and Senior Partner in M/s. B.P. Rao & Co.
Mr. Sankarshan Basu graduated with M.Sc. in Statistics from IIT, Kanpur and obtained his Ph.D.